Head in a Box, originally uploaded by sugarpacketchad. 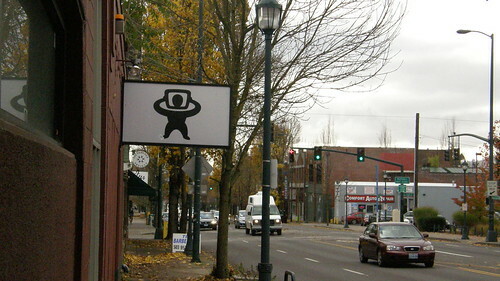 Above: “This is a Media Company on MLK in Portland, Oregon,” reports the caption. Below, a restaurant. 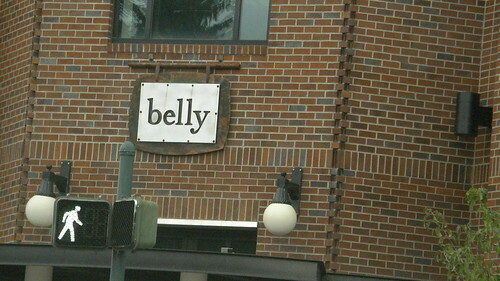 belly, originally uploaded by sugarpacketchad. 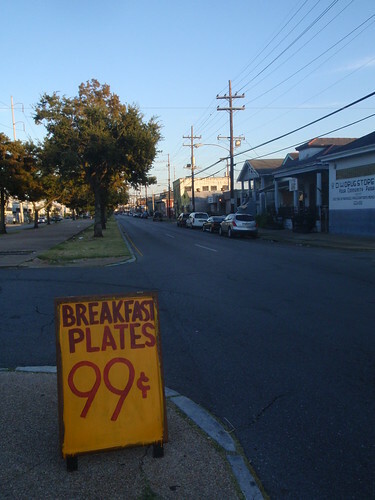 breakfast plates 99c, originally uploaded by anthonyturducken. “Artist lester carey,” says the caption. More on Carey here.